Circulated throughout Central, South East Asia, Australia and New Zealand. Launched in 1994, Lab Asia is the leading scientific journal targeting Central, South East Asia , Australia and New Zealand. Lab Asia provides the perfect platform for exporters to promote their products in this important market place. The circulation of Lab Asia has been extensively researched and screened. An exceptional mailing list of Chemists, Biochemists and Biologists working in Industry, Education, Hospital and Government Laboratories guarantees that Lab Asia is read by those who influence the purchase of laboratory equipment. "I have used Lab Asia for several years now. The advertising & editorial in the magazine has helped grow my business and also found me some very good distributors in the Asian region along the way"
"As a leading provider of Laboratory Liquid Handling products, it is vital that Socorex utilises effective media titles with proven track records. 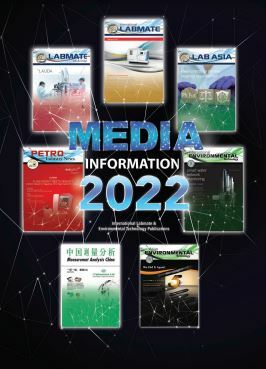 We have advertised in Lab Asia for many years due to their excellent reputation in the market place, professional staff, strong circulation, and the quality of the publication itself, the articles and the sales leads generated. Lab Asia is the perfect choice for us to build our brand further each year across Asia." "Goodfellow Cambridge Ltd have been advertising with Lab Asia for several years. We have always found their staff, services and publication of the highest standard and it has generated good leads for our company. Continue the good work!" Extra distribution at all major lab shows across Asia until October 2020.